This is the easiest way to freeze chili peppers: remove the stems, cut them into slices (like the Jalapenos in the picture) and put them in a plastic bag. 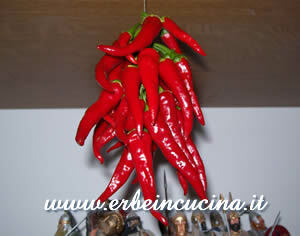 You can also mince the chilies, eventually adding oil, garlic or aromatic herbs. 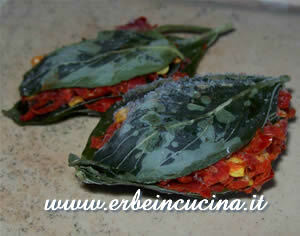 Divide the minced chilies in small packs, using freezing paper or basil leaves, as shown in the picture. How to prepare the chili ristras: take a needle and some heavy thread, thread the line through each stems, stacking them in a ristra like the one in the picture. Hang the ristra in a well ventilated area, not directly exposed to sun beams... and choose some valiant guards to watch them like my toy soldiers with this Mexican Red Cayenne! 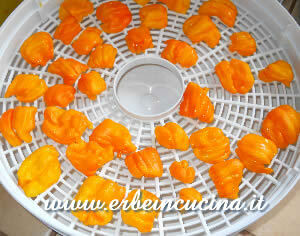 Be careful, for fleshy peppers like Habaneros it's better to use a dehydrator. 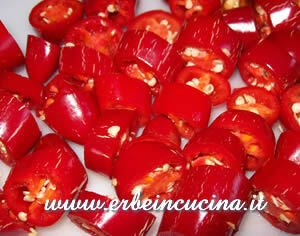 To prepare chili powder, remove the stems, slice the peppers in half and dry them. Use a dehydrator for fleshy chilies. 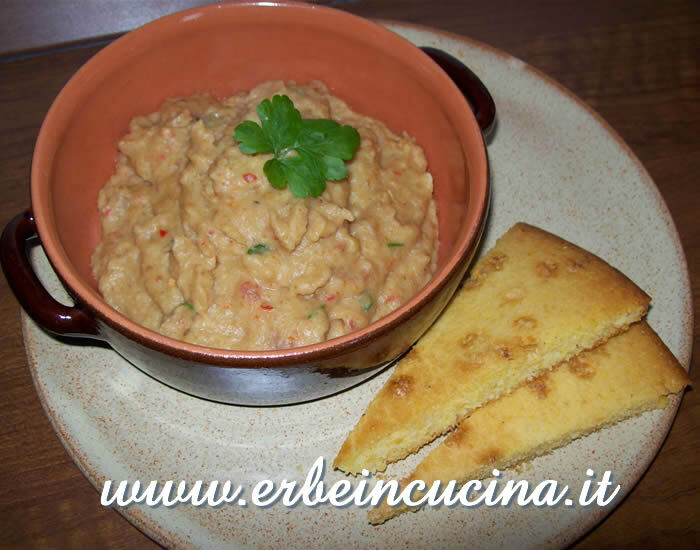 Mince them with a blender: smooth powder will be easy to use, but will lose aroma. I choose rough texture. 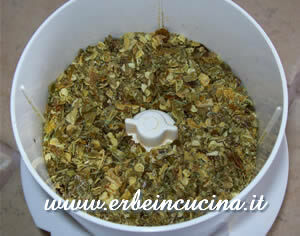 In the picture, the green powder from the last year: I prepared it using only green peppers, less hot but more aromatic. 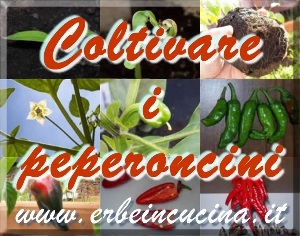 Dried chilies can be added to herb mixtures: read the post about homemade Spices and aromatic herbs mixtures.